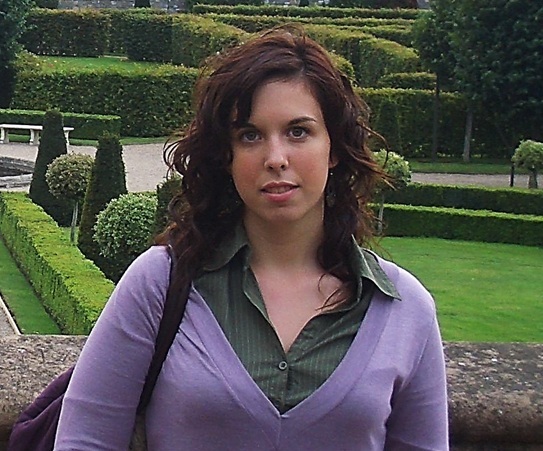 We are happy to announce that Sandra Tena from AEGEE-Castelló is our Member of the Month for her great work as local organiser of such a remarcable event as European School 2. Describing her just in few lines would be too hard, since she has really many talents and achievents, so we would not even try. Instead we will proceed straight to the interview in order to hear how is to work in cooperation with AEGEE-Academy, how she created the great team of AEGEE-Castelló and how AEGEE changed her life. First of all Congratulations, Sandra. And the first question is this: how did you feel when you found out that you are the March Member of the Month? Was it unexpected for you? I got really excited to hear from out NetCom that I am the member of the month. When I got the message I had to read it for at least three times before assimilating the good news. It had been months of hard work in our antenna but I could not have imagined the impact of it. It was absolutely unexpected and now I’m feeling extremely motivated, thank you. 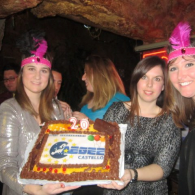 How did AEGEE-Castelló decide to organize the European School 2? Last September we started a new stage in our antenna, with an extremely new board, with extremely great aspirations. That’s why I was looking for a challenging project to start building the team. Hosting a European School was the perfect opportunity. And now that the organizational part has been completed, we know we made a great decision. The participants did a really good job and I’m sure that the magical atmosphere will arrive soon to Europe. How was the cooperation with AEGEE-Academy? Did you participate in ES2? (Since last ES2 organizers were not permitted to participate). We were permitted to participate but unfortunately, I couldn’t. We were only four organizers so we were busy most of the time. However, after the second day we managed to have always one of the organizers at the training sessions. It was really useful because he acted as a link between the busy participants and us (as every night we had a meeting with the trainers). How did you organize your team? We didn’t have a strict structure as we were a small team and the communication was extremely effective. Of course we had incoming and visa responsibles and I also was fundraiser, but the rest of the tasks were developed by the whole team. 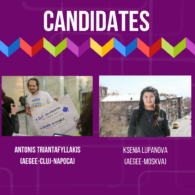 How did you find out about AEGEE? When did you join it? 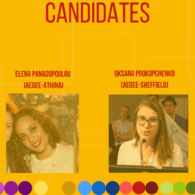 I found about AEGEE in 2010 during the Summer University campaign. And as it has happened to many other members, I attended my first SU (Leiden) and it was the beginning of my AEGEE story. The same year, after the Local Agora, I became Treasurer and since 2011 I am already a president of my local. As a president of AEGEE-Castelló what part of your life does the organisation occupy? Outside the AEGEE bubble I’m currently doing my PhD in marketing research, so I have to combine it with the presidency. Both tasks require a lot of dedication, but when you love what you do, you always manage to do it. The passion and freshness that surrounds the organisation creates the best atmosphere for people who never want to stop learning and experiencing. Even if sometimes it’s hard to manage or justify the time you spend working on AEGEE, it’s worth it! I work during the morning on my research and then I try to start with AEGEE issues in the evening, that’s the planned schedule. But I should admit that during the organisation of the European School 2 I didn’t meet the schedule at all and now I’m trying to go back to the work routine. It is obvious that you work really hard. I am sure the readers are wondering, how you relax? Always having a smile on your face makes working easier for you and also for the ones who work with you. I really enjoy every small moment in my life, even the ones that not many people care about. But when I really need to relax, spending a weekend out is the best solution! Where do you see yourself in three years from now? I see myself finishing my PhD and working at a University as a professor, it’s my dream. I really love sharing knowledge and inspiring other people with my ideas and experiences. I’m on the way to make it real! And about myself in AEGEE, I don’t know what will happen in three years, but right now I’m really willing to start with new projects! Imagine that someone approaches you and he has no idea what our organisation is. 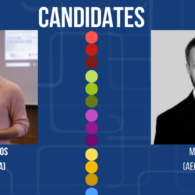 Why should he join AEGEE? Explain to him. Why joining AEGEE? It’s not easy to explain it in a few words, but I’ll do my best! AEGEE is an opportunity to discover, experience and develop yourself both personally and professionally. How is it possible? Traveling all over Europe, visiting the most unknown and amazing places and everything surrounded by a multicultural environment. Are you going to miss this awesome chance?